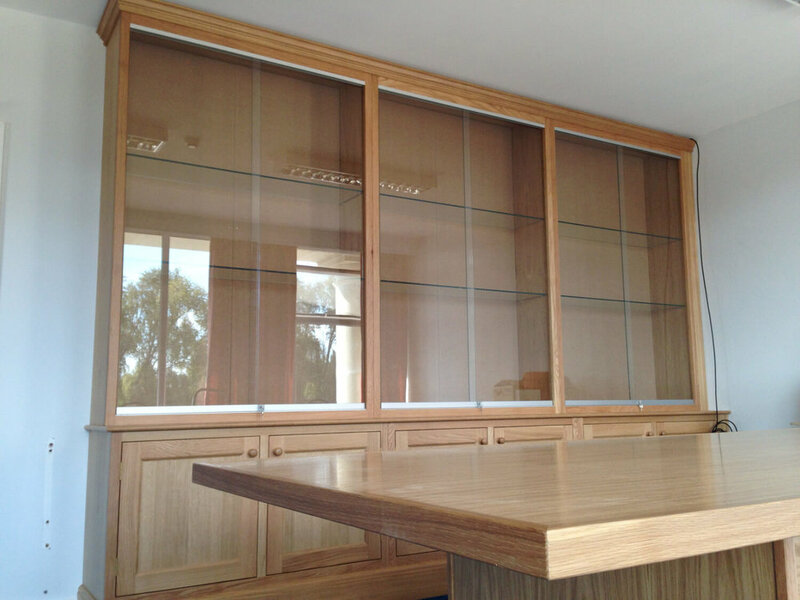 I was asked to fit out two refurbished rooms, the first as a committee room with lockable glass fronted display cases, and cupboards below and a large boardroom table. The second room was a complete fitted library. All made in solid Oak and Oak veneered board. This was completed to a short deadline and involved a lot of long days. There were so many units to transport that I had to hire a pantechnicon lorry to get it there.